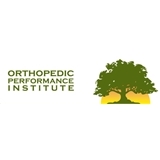 Orthopedic Performance Institute (San Antonio) - Book Appointment Online! Great. Got there pretty early, but was seen very quickly and was out the door almost by the original appointment time.